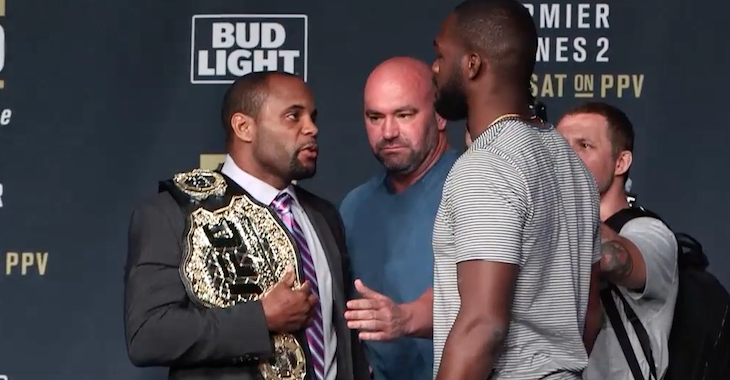 Even though Daniel Cormier and Jon Jones have what could be considered a “contentious relationship,” the UFC heavyweight champion has given credit to the new light heavyweight champion for his win at UFC 232. While Cormier can defer that Jones is great, he feels that Jones could have been a champion without the use of performance enhancing drugs. “If you’re asking me if I feel Jon Jones would’ve worn a UFC title without any of these things (PEDs), I do, 100 percent, believe he would’ve won a UFC title,” Cormier said. “I think that he’s a very talented guy. He comes from the sport of wrestling, so he has that baseline for dictating where fights take place. With that being said, those things are done for a reason, right? You don’t have all these issues with the testing unless you have either doubts or something in your preparation over the course of your athletic career didn’t truly add up. That’s the only way you would get these types of things tied to your career.